With crazy cold temperatures in the Midwest and the big game approaching this weekend, team TGHR decided to heat up the office with a little friendly competition. Introducing the inaugural TGHR Souper Bowl! Staff members made soups and desserts to share during an office lunch. 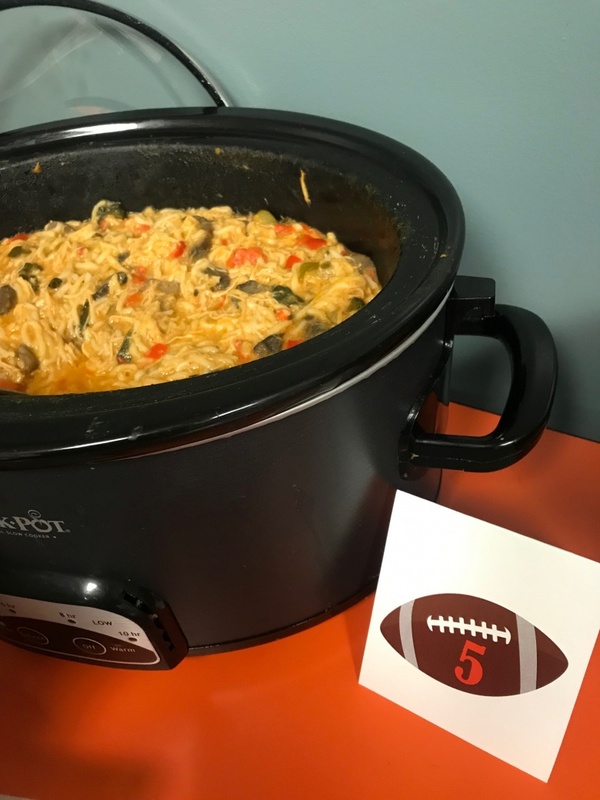 Our big winner was Pizza Soup, but the other entries definitely made the playoffs in our book. Try your hand at these soups and let us know which one you think is a touchdown. This is crowd favorite especially with kids. What really sends this soup over the goal line is topping it with mozzarella cheese and garlic butter croutons. Brown and drain sausage and onion. Put in crock pot with other ingredients and cook on low for 3-4 hours. Great soup to make the night before the big game as this soup tastes best the next day. We’ll find out which team reigns supreme this weekend, but this soup was a winner! This one comes with the option of making it in a stockpot or a crock pot. Brown sausage with onion. If in stockpot add other ingredients and simmer for a minimum of 20 minutes. In crockpot, heat for 3 hours. This soup was top draft pick and comes together so quick, it will be ready by halftime. Combine all ingredients in a crock pot and simmer for 1 hour. This low-carb soup will warm you up so fast, you will feel like you are in the middle of the huddle. Place all ingredients in the crockpot on low for 8 hours, add water if needed. This take on a classic is sure to be a winner! Rinse the kidney beans thoroughly. Add the kidney beans, sausage, garlic, celery, onion, bell pepper, Creole seasoning, hot sauce, dried thyme, bay leaves and chicken stock to the crockpot and stir. Cook on high for 6-8 hours, or until the kidney beans are soft and cooked through. Season with salt and pepper. Before serving, remove the Bay leaves. Serve immediately over rice, garnished with green onions. Recipe here. There’s no pressure to make the extra point when you make this soup with a kick! In a large soup pot, combine the broth, coconut milk, soy sauce, fish sauce, honey, peanut butter, and chili sauce. Add the chicken, cremini mushrooms, red peppers, zucchini, ginger, and garlic. Simmer on the stove over medium heat for 15 minutes. Bring the soup to a boil over high heat. Stir in the noodles, lime juice, spinach, and cilantro. Let the noodles soften. Top the soup with peanuts, cilantro and scallions. Recipe here.